Order in multiples of 5 to avoid paying box splitting cost of £5. The high quality, 1-metre wide flat-packed stacking basket can be easily assembled straight from the box. It can also be packed down again when aren’t in use. Manufactured from strong and durable wire that makes it hard wearing, whilst still keeping it light enough to move around your shop floor. 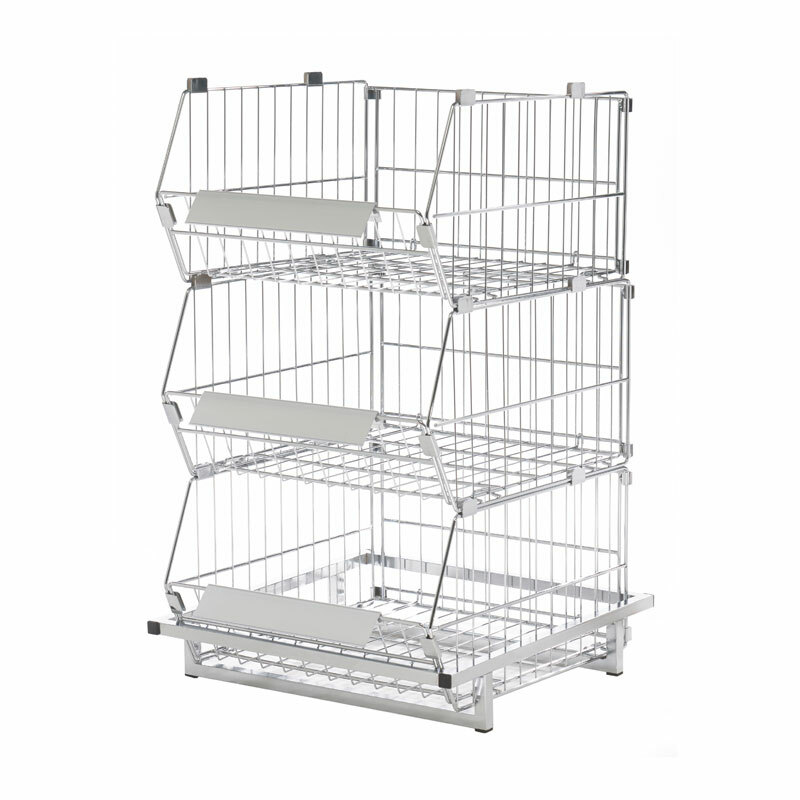 Lightweight Stacking baskets The baskets are an effective way displaying and storing an array of items and gives a tidy and professional look, perfect for the shop floor or stockroom.